Third time staying at the Bahia Apartments and would not stay anywhere else in Santa Eulalia. 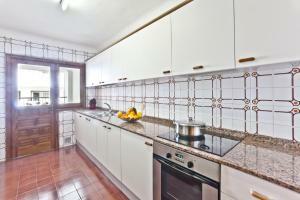 The apartment is spacious, well equipped and spotlessly clean. 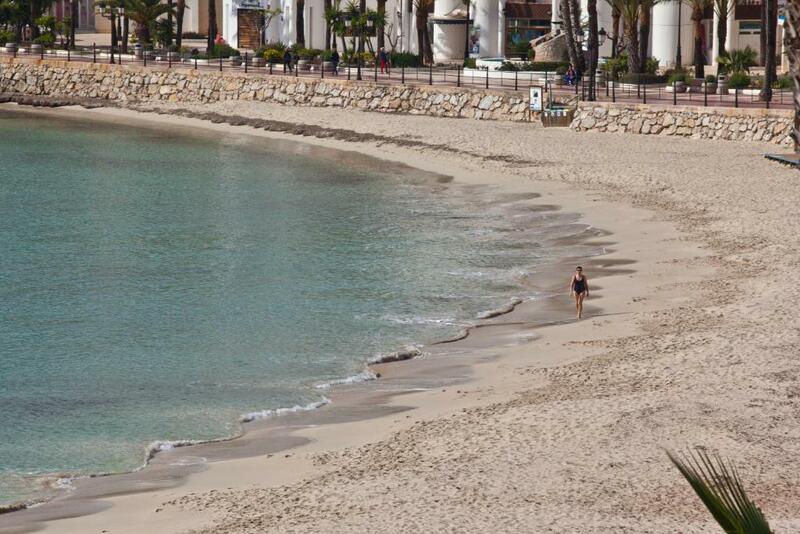 Our request for a sea facing apartment was gratefully observed and all aspects of our check in were without issue. The owners were also most accommodating when our return flight was cancelled and we cannot thank them enough. Great Ocean view, clean rooms, and smooth checking in/out. 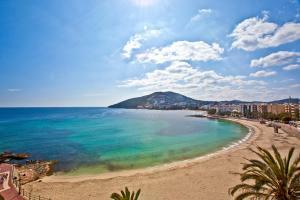 Close to the beach and an excellent selection of restaurants. great location. Bathroom was new and had a very good shower. Rooms all a good size. Great location, facilities and staff. Very clean! 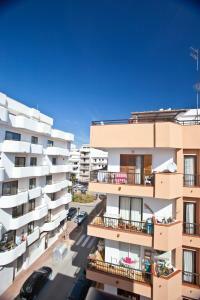 Well located, spacious 3 bedroom apartment. Two good recently re-done showers rooms. 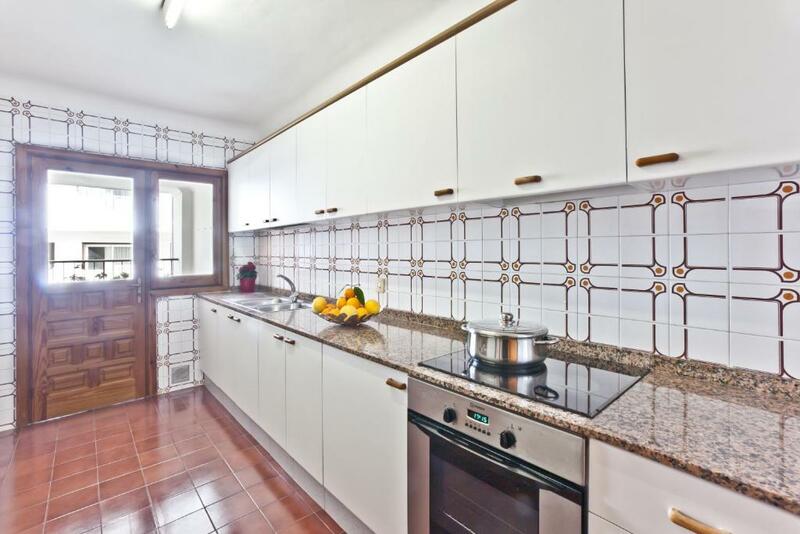 Spacious, clean, very well located and good kitchen facilities. Lots of space. Fantastic location. Clean. Comfortable. Lock in a great price for Apartamentos Bahia – rated 9.2 by recent guests! Apartamentos Bahia This rating is a reflection of how the property compares to the industry standard when it comes to price, facilities and services available. It's based on a self-evaluation by the property. Use this rating to help choose your stay! 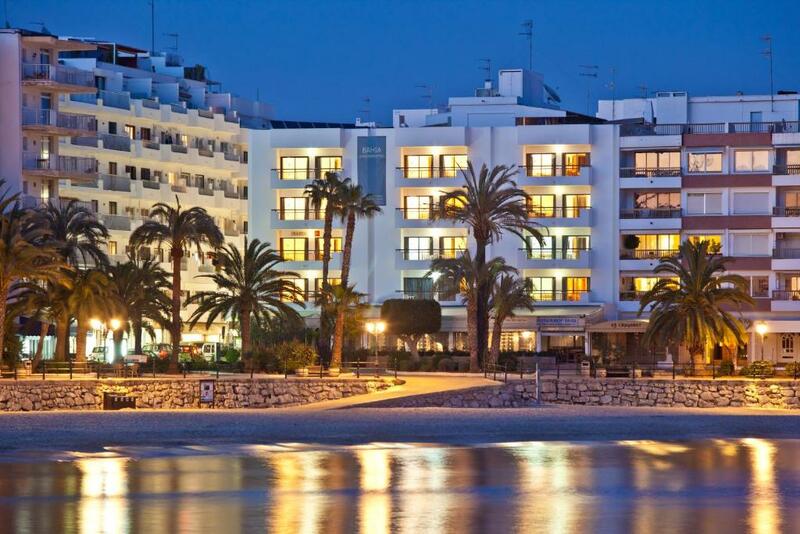 One of our top picks in Santa Eularia des Riu.The apartments are located in the center, right on the doorstep of a fine sandy beach with crystal clear waters and a palm tree-lined seafront promenade. Free WiFi is available. The accommodations consists of 4 and 6 person apartments, comfortable and spacious and provide a great home from home, whether you are traveling as a family or a group of friends. 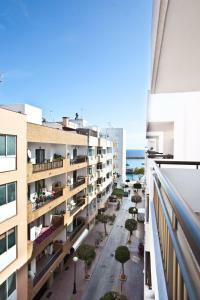 The front of the apartment building looks over the bay, the promenade and the surrounding gardens. At the back of the building the apartments look over a pedestrianized area of town. Its location, right in the center of town, means guests benefit from an array of amenities and services, including a good selection of shops, bars and restaurants. 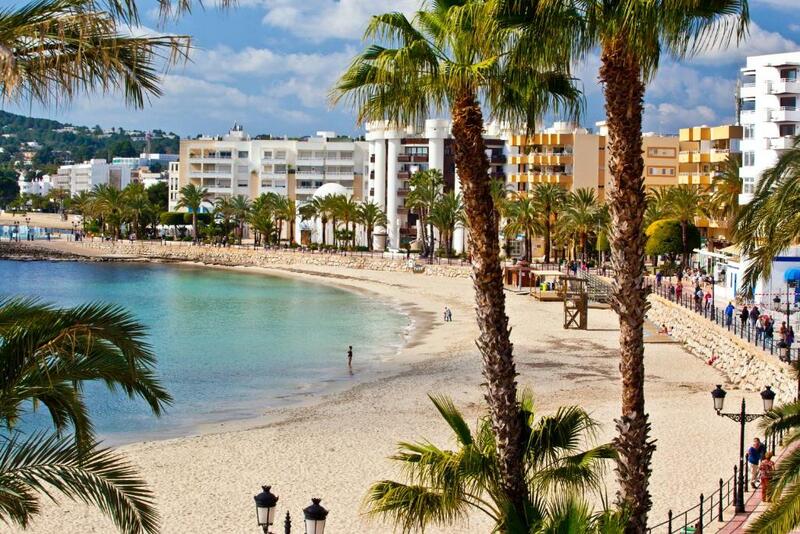 Located in the more peaceful central area of Santa Eulalia, the main shopping center is a little further away, yet is still easily accessible. 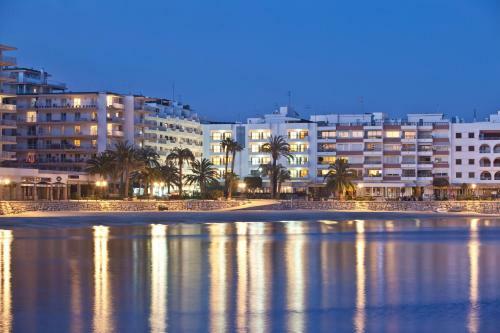 When would you like to stay at Apartamentos Bahia? This spacious 2-bedroom apartment includes 2 double bedrooms, a bathroom and large living-dining area with 1 sofa and an armchair. 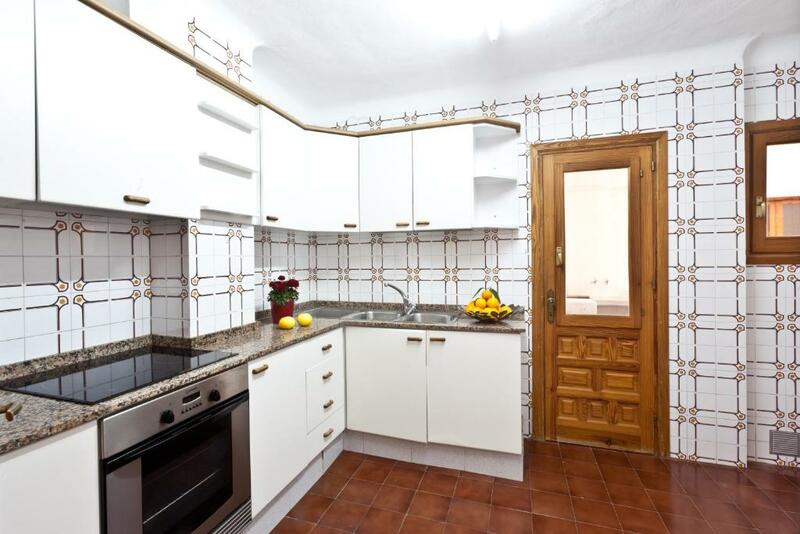 The separate kitchen is equipped with a ceramic hob, electric oven, fridge, microwave, kettle and washing machine. 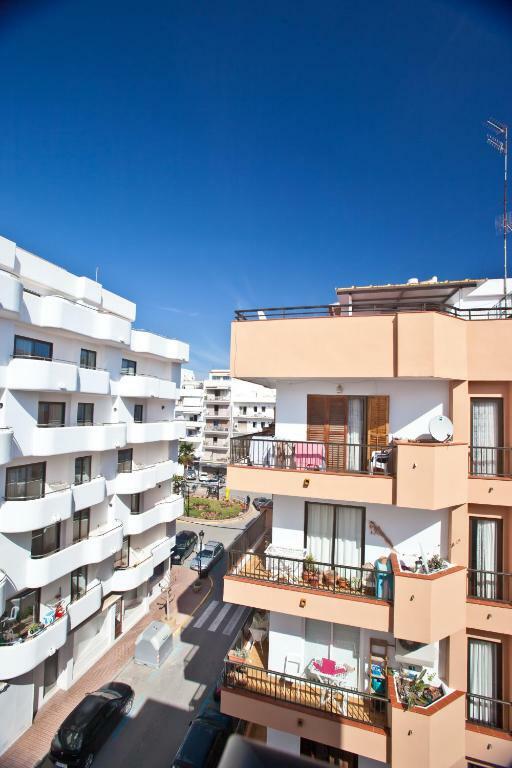 This spacious apartment includes 3 bedrooms, 1 with a double bed and 2 with twin beds. The living-dining room features 2 sofas, and the separate kitchen is equipped with a ceramic hob, electric oven, fridge, microwave, kettle and washing machine. Featuring views of Santa Eulalia Bay, this spacious apartment comes with 2 double bedrooms. 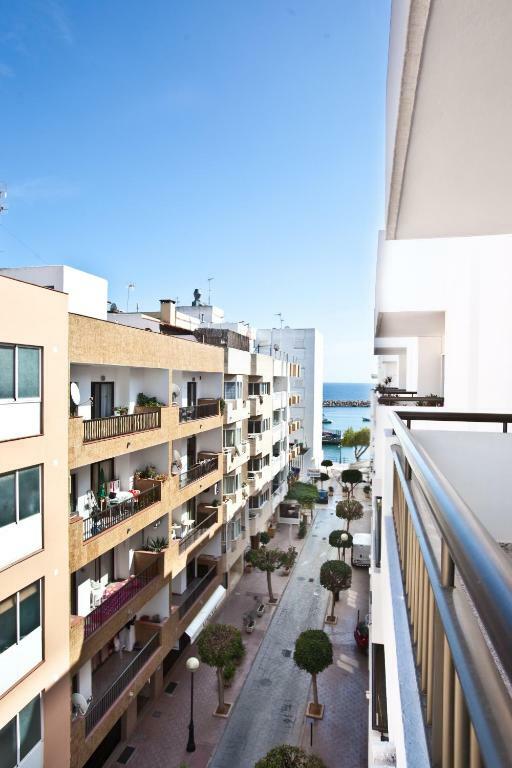 La ubicación de los apartamentos es absolutamente privilegiada, en el centro de Santa Eulalia, junto al Paseo Marítimo y la playa de Santa Eulalia. La amplitud y la distribución de los apartamentos hará que se sientan como en casa, son amplios, para viajar comodamente con la familía o grupos de amigos. Con más de treinta años de experiencia, nuestros huéspedes se encontrarán en un alojamiento gestionado familiarmente. Nos encanta hacerles sentir como en casa, y permitirles conocer la isla de Ibiza desde su libertad y tranquilidad. House Rules Apartamentos Bahia takes special requests – add in the next step! Apartamentos Bahia accepts these cards and reserves the right to temporarily hold an amount prior to arrival. Please inform Apartamentos Bahia of your expected arrival time in advance. You can use the Special Requests box when booking, or contact the property directly using the contact details in your confirmation. I didn't mind it not the fault of the owners maybe it's a cultural thing but could hear loud noises of people talking and banging at night time not sure if it was the restaurant below or other people staying. Also howling winds you could hear it. Sound proofing if possible but what do you expect if you located next to the sea! But can't really complain otherwise. I'm just being pernickerty. It was quite noisy in the evening even on the third floor the sound travelled up, and that was at the end of October so could be worse during high season. kitchen dated but had a new fridge freezer. Missing small bowls for mixing, table mats for hot dishes and few other similar things useful if cooking. Mattresses weren't great but were in line with expectations. Some mugs and larger glasses would be good! Kitchen decor could be updated slightly. The apartment was very central for us. Next to the beach and the restaurants. Was dead handy having a washing machine especially when travelling with a baby! Would definitely stay here again!